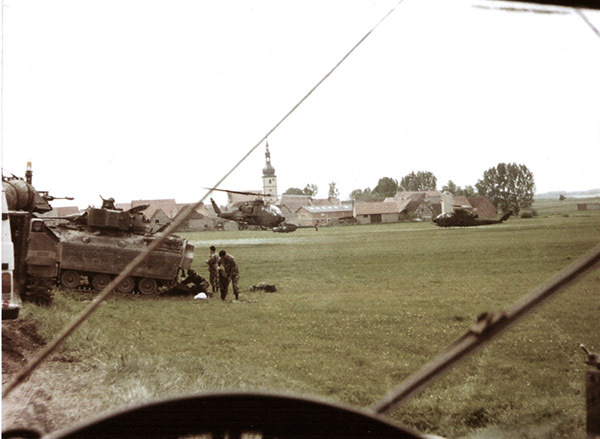 This photo was taken from the driver's seat of the Platoon Sergeant's jeep. This area and this particular road was a common staging area. In the photo are 1/15 Inf Bradley's and Cobra gun ships from an unidentified aviation unit. I remember that my Platoon Leader, 1LT Allen, had me drive him to this area for a little powwow with our task force leaders. Picture was probably taken in 1985. Note the MILES equipped Bradley .